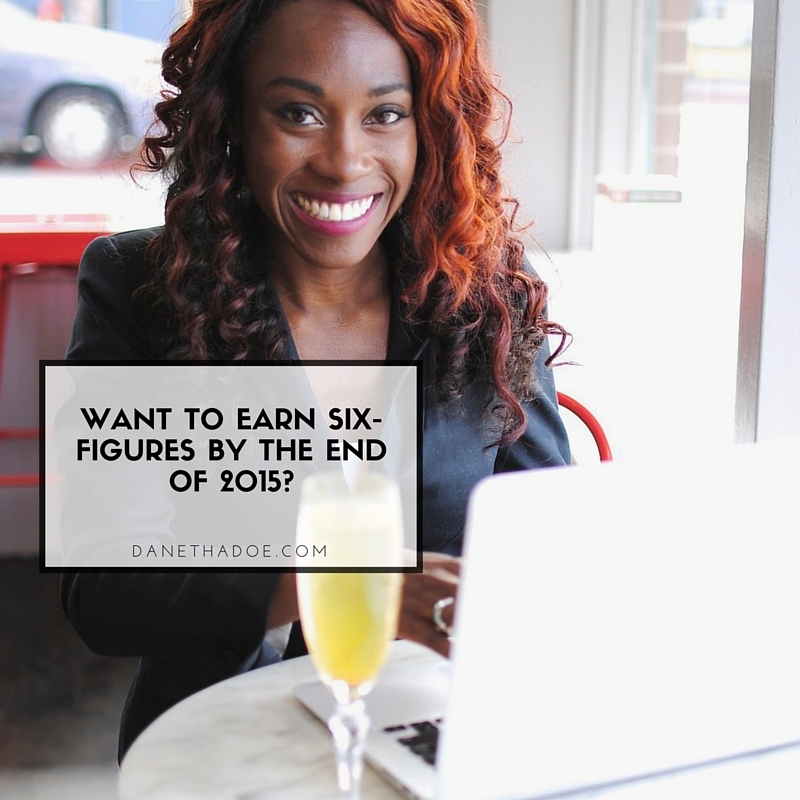 Want to earn six-figures by the end of 2015? Bookkeeping tip: Haven't organized your finances for 2015? Now is the time to do it. If you wait until tax season, you could miss out on some BIG savings. Sign up for a bookkeeping program, link your bank accounts and start reconciling your transactions this week. For more guidance, sign up for my weekly newsletter and get the first section of my book, The simple guide to accounting & financial strategy for new entrepreneurs, for free. OMG. Did you catch the blood moon last night? Change is coming. Fall is here, we experienced a once-in-a-lifetime event with the supermoon and lunar eclipse...and the fourth quarter starts this Thursday. How exciting! If you're like me, you probably set big goals for yourself and your business back on January 1st. How close are you to hitting those goals? It's time to reflect, plan and get focused and so you can finish 2015 strong. With only 3 months left in the year, it's the perfect time to reflect on those $$$ goals we set wayyyy back on January 1st. It's easy to get caught up in life and not take a moment to sit and reflect on how far we've come and where we want to go. I can be guilty of that too. So last week I took an afternoon off, grabbed my notepad and pen and headed to the rose garden to reflect on the goals I had set back in January. And think about what I wanted to accomplish by the end of 2015. My oasis. The rose garden near my home where I reflect and create my business plans. Are you guilty of setting lofty goals at the beginning of the year and not sticking to them? Let's put an end to that now and create a plan to finish the year strong! Below are three steps you need to take this week to get your finances in order so you can hit your revenue goal. Click here for more info about my business strategy sessions. 1) Organize your bookkeeping so you can get a clear sense of how much you've made thus far in 2015. Check out, Xero, it's my favorite bookkeeping program. 2) Reflect on these last 3 months. What went well? What can be improved in your business? Write it down. 3) Take action. Create a 3-month business plan that you can start immediately to finish 2015 strong. Need help organizing your books? Don't know where to start with your business plan? Click here to check out my service to small business owners who want to take their business to the next level. Danetha Doe (@danethadoe) is a business strategist. Selected as one of the Top 40 under 40 accounting professionals by CPA Practice Advisor, she helps entrepreneurs take their business to the next level. Click here to find out more about working with her. Older PostReady to expand your business?